My Secret Hair Enhancing Spray is used to cover baldness and/or thinning hair in men and women while adding color, volume and texture. This affordable, easy-to-use product has become a favorite with consumers and hair stylists as well. 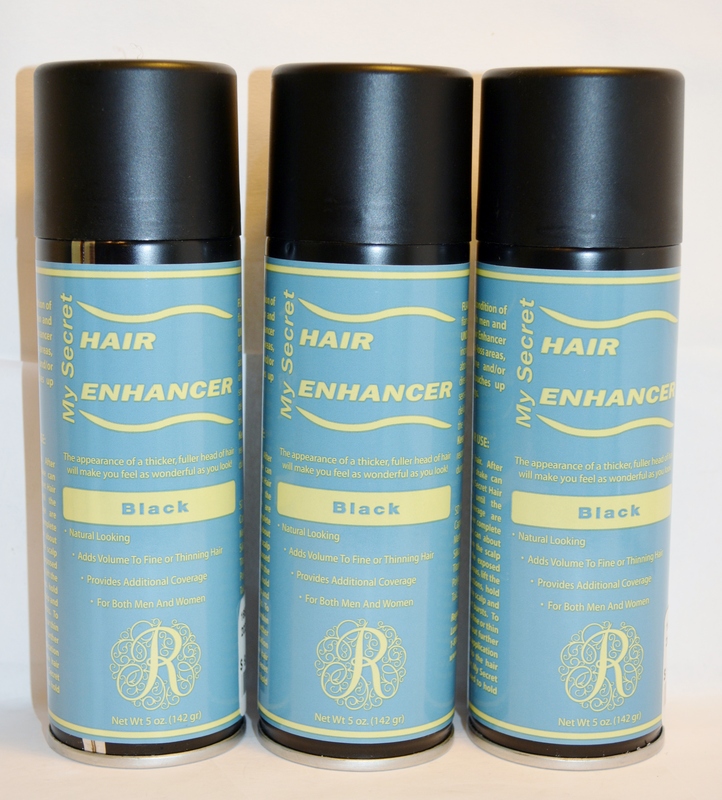 Simply spray the hair enhancer on dry hair and then style. Follow with My Secret Finishing Touch to hold your style until the next shampoo. This great product is made in the USA without animal testing. This is a 3 pack!